Can you believe it's February already? 2018 was an amazing year for the Nintendo Switch with the console enjoying bumper sales at Christmas, and January got off to a strong start with the delightful New Super Mario Bros. U Deluxe and Travis Strikes Again: No More Heroes leading the charge. So what's next for Switch? We've helpfully compiled a list of all the good stuff coming out at retail in February and March, so feast your eyes and get all those pennies together – you're going to need them! 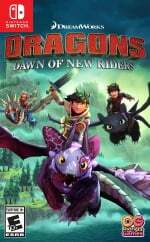 It's a bit of a slow month for Switch retail games in February, so our pick is Dragons Dawn of New Riders which, despite being a movie tie-in, actually looks quite promising. 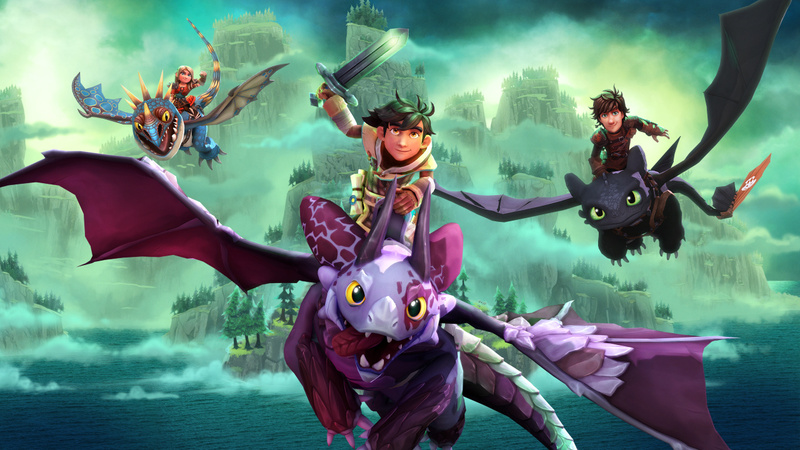 A new heroic dragon and rider are taking to the skies and only you can help them defeat the evil villains who destroyed a dragon sanctuary created by Hiccup, Toothless, and his dragon riders. The game is out on 1st Feb in Europe and 15th Feb in North America. After a slightly sparse month in February, at least we have the wonderful looking Yoshi's Crafted World to look forward to in March. In the game, you explore a diorama-like world made of stuff like boxes and paper cups, where each side-scrolling stage has the traditional front side as well as a flip side with different views and surprises. Boasting two-player co-operative action, this is going to be one to watch out for next month. Aside from the highlighted games above, there are lots more Switch retail games which might take your fancy in February and beyond. We saw a whole slew of interesting accessories released for the Switch in the past few months, but more are on the way. Here are some tantalising accessories coming up in February and beyond, which we found for your consideration. So that's it for February and March - did we miss anything? Let us know with a comment and also tell us if you've pre-ordered any of these goodies! Why is black order on here? 2 games highlighted - am I reading this right ? So what your acutuallysaying is there's nothing out in FEB! 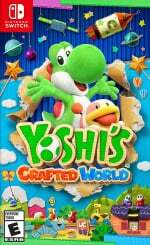 I've got Yoshi's Crafted World, The Liar Princess and the Blind Prince, RemiLore, Crystal Crisis, My Girlfriend is a Mermaid, Steins;Gate Elite, Our World is Ended, Girls und Panzer, Dead or Alive Xtreme 3: Scarlet, Final Fantasy X/X2 and Ace Attorney Trilogy all preordered so far with more than half of them paid for. I'm gonna be pretty busy for a while. Pre-ordered BlazBlue CF from base.com, I hope to receive the game not too late since I'm from Italy. @BenAV wow, you really like your Switch, don't you? @SuperCharlie78 Haha yeah, you could say that. I'm mainly a handheld gamer these days and haven't touched my 3DS since the Switch launched. Have played it every day since launch so I get through a fair bit. Is ace attorney coming out in UK soon too? I cancelled my FFX/X2 preorder when they announced the second game is download-only. I may import one from Southeast Asia, though. is it just me or has nintendo forgotten they make games? My mother-in-law’s sending Final Fantasy X to me from Japan. Bless her heart. @Medic_alert I don't think there's any sort of release date outside of Japan yet but I doubt it'll be too far off considering the Japanese version already has English. I'm sure it'll be digital only outside of Japan though because Capcom. Hey, when is World of Final Fantasy MAXIMA for Switch ?? It should be released on this February 2019 in Asian region. Why does that keyboard not have a numpad? How am I supposed to play ADOM on Switch without one? OK, ADOM on Switch with some cohesive contextual menu wouldn't be that bad. Remembering all the keybindings may be difficult and I play that game almost daily. I'm still waiting for those Shovel Knight treasure troves and amiibos, but they don't appear to be available from Amazon UK. I'm expecting that they'll show up on Nintendo UK store at some point, and I'll probably get them there. Got a bunch of stuff listed here pre-ordered too, Yoshi's Crafted World, Oniken and Odallus Collection, Gyakuten Saiban 123: Naruhodo Selection (that has English language options by the way). Stardew Valley physical too. I just hadn't heard anything. Pixark? Are they really going to try and release another game? Did they fix the issues with Ark? Dragons looks like something my library will get, so I'll borrow it from there. The last game was so horribly bad I had it as a 1 day free rental from Redbox and it still wasn't worth even that, just pathetic. So this one should be better, but probably nto good enough to pay for it. Yoshi our last Amazon Prime 20% off discount. Really not sure what I'll do about games going forward. Just wait for sales I guess. Chocobo’s Dungeon Everybuddy comes out in March 20th. While it’s not the EU or US one, it’s confirmed to have English support. Anybody know where to order those Shovel Knight amiibo in the UK? GAME have them...guess that'll do. Oh I hate being on a budget. Shovel Knight, FF X and FF X-2 physical editions for me! @BenAV Same here! Wasn't brave enough to turn up the 3DS since the Switch launched and played it almost every day. I didn't play anything else, actually, despite having a PS4 and a powerful PC (which is my son's reign), the Switch is just all I need. Already played X/X2 on the go through my old GPD Win, so not going to double dip for this one, especially with the second game being downloadable and the ridiculous price of $60 in Canada (bought the collection for less than $20 for my GPD Win). As for Aragami, well... 50$ for a game I paid about $5 for on Steam.... even with DLC.... No thanks. Monster Energy Supercross... that trainwreck of a title and design job for the cover art is at least good for a laugh, and does a good job of NOT making me want to buy this. Never played the first though so maybe it's good? Anyway, what a horrible cover art and logo. Now, even if overpriced, Trial Rising might interest me, as is Shovel Knight and Mortal Kombat. Dragon's Dogma and Lego Movie 2 may end up in my collection sooner, as their prices seems to be quite fair for what they are. Iron Crypticle preordered from eshop. Otherwise waiting on King Knight DLC. A friend of mine preordered the knight amiibos for me. Not too many games to look out for me, but probably for the best. My Switch has over 60 already and many retro game compilations. Erm... Just Yoshi for me then, though I'll pick up MK11 on PS4. Yeah, February and March are mostly a barren wasteland on Switch. Just Yoshi now that Wargroove is out. Highlights are Yoshi and Pillars of Eternity II (that's for a good collection of great PC games available on the Switch w/ Diablo III and Civ VI) - but those are due on March. @Grumblevolcano Also Phoenix Wright Trilogy if you are into this. That switch keyboard would be awesome if the west had access to Dragon Quest X.
I guess it may be useful for RPG Maker too. Yoshi preordered from years... Hope amazon.it will bring it in time. Lot of great games anyway. And the keyboard is interesting. No. Can´t. Not this month, I N E E D to get subnautica this month. Need to find out if the zoids game and darius have english support. Darius Twin on the SNES was my jam. Still believe Mortal Kombat will launch in April, eh? Just Yoshi and the ol' pile of shame for me until the spring time. That keyboard looks ridiculous but I assume it's for some specific game. Maybe a FFXI port because that would both be awesome and is also the first and last time I ever needed a keyboard for a console game. Liar Princess looks cute and looking forward to replaying all the Final Fantasy games, other than that I think we'll have plenty of time to catch up on the back log. I'm sure there will be one or two first party games released throughout the year but the rest will come around Christmas. I hate what they did with Darius Collection. The fact that the collector's edition has more games. Evil. Basically, Yoshi - 2 months from now. Nothing for me until Yoshi but that's fine as I have more than enough to play already. Just Yoshi for my family. I literally bought Ys for $60, closed the store and opened the news channel to look around while it downloaded and saw the NIS sale. Clicked on it and it took me back to the store where the game was indeed now on sale. Missed it by literally seconds. So far there are over 1700 games for Switch. There about 30 worth having. @Dayton311 It'll be released outside Japan digitally for sure (no release date yet) but probably not physically. The Japanese version does contain English so feel free to import. @Zidentia More like 300 worth having. The sale says it is from Jan 31 to FEB 6... so should have gone live yesterday. If you receipt says the date maybe you can ask for partial refund as some sort of glitch. Jesus, what a sad pathetic line up. I thought WE WERE DONE with this kind of drought last year. Actually a worse span of time than anything I complained about last year. Dragon's Dogma went from a game that looked ok to a MUST BUY given this lineup. I'm definetly gonna get Yoshi's Crafted World, The Liar Princess and the Blind Prince, Shovel Knight Trasure Trove and Phoenix Wright Trilogy from Japan. I also wanted to buy Final Fantasy X / X-2, but since Square Enix screwed up the retail version for Switch i'm gonna spend my money elswere. Most looking forward to the Child of Light / Valiant Hearts double pack that's releasing at the end of Feb. Easily my most wanted game this year. Can't wait for this one. I'll probably finish it within a week but I don't care, I need this game! @GrailUK The determination of a Yoshi fan eager to play their Yoshi game. @Agramonte Thanks, I actually looked at that NIS sale just last night in the Switch news section. I saw Ys VIII on the list, no prices, just all the games, and thought, "hmm, maybe for $20 it's time to pick it up." Then I clicked on it and it said $40 and I said, "nah, I'll wait." It took me 3 nights to get through 1 building in Pokemon, don't need anything else right now. If ever. Especially a long JRPG. I am picking up Swords and Soldiers to replay, and my son wants Snake Pass, on sale for $8 from $20, and we might get Mecho Wars on sale for $5 from $10, though I've already played that as well. So many games, so little time. 8 weeks from today to Yoshi. That I know. I looked into that but wasn't able to get anywhere before I gave up. It was a huge bummer but you can't ask a video game company to give you money back, even one with as friendly a veneer as Nintendo, and expect to get anywhere. Just gotta stop impulse buying video games on the eshop and I won't run into problems like this. @rjejr Yeah, Still debating if get it Digital for $42. Amazon Trade-in is $33 for it. So can end up playing it for $26 if I go physical. We got 16 outside as well today, it was practically balmy. Found out my library has Switch games now, about 15, that will help. Looks like my wallet will be fine until March for Yoshi and then a few things in April. I've already preordered Dragon's Dogma and I plan to pick up Darksiders. I'm still iffy on Final Fantasy X/X-2. RemiLore looks like something I would like though. Didn't you guys get the memo? RPG Maker MV got delayed indefinitely. Isn't Final Fantasy XII coming on 30th April? It took a while, but Obsidian's finally releasing a game on Switch. Might be their last, too, as Microsoft's bought them. @papertone Anything on a new Direct? I hate to be one of those people, but it's been so long since the last one. @Agramonte "burn my PS4/Switch games"